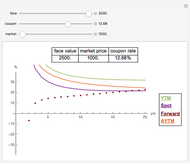 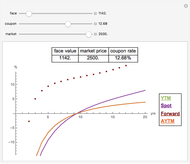 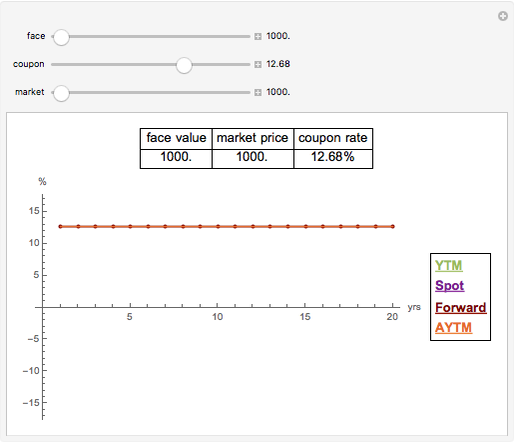 This Demonstration shows the yield, spot, and forward curves for a coupon bond with yearly coupons, purchased for the market price with no other costs and with the face value repaid at the end of the maturity. 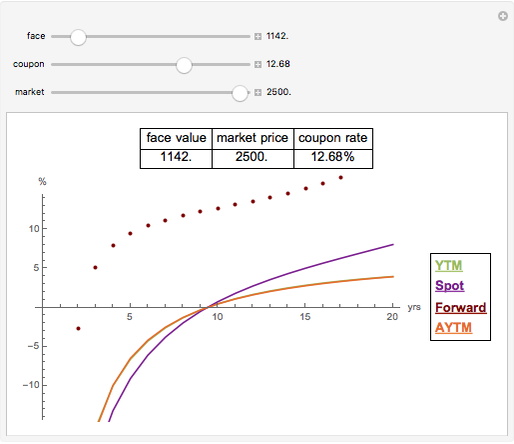 In addition, it shows the approximate yield to maturity curve, which is also known as Hawawini–Vora yield to maturity. 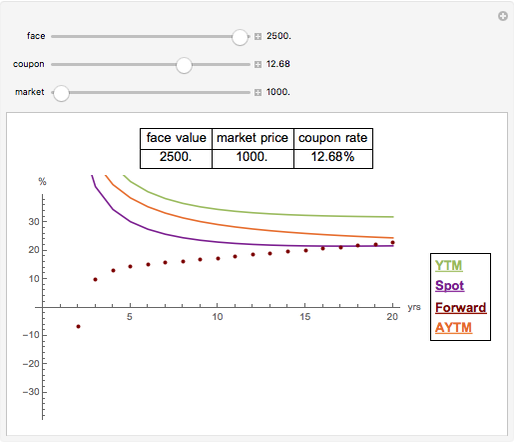 Gergely Nagy "Yield, Spot, and Forward Curves"